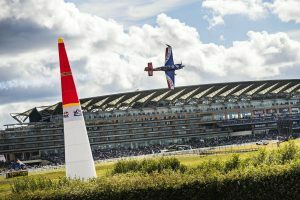 There was something special in the air at Saturday’s Qualifying for the Red Bull Air Race return to the UK’s legendary Ascot Racecourse. 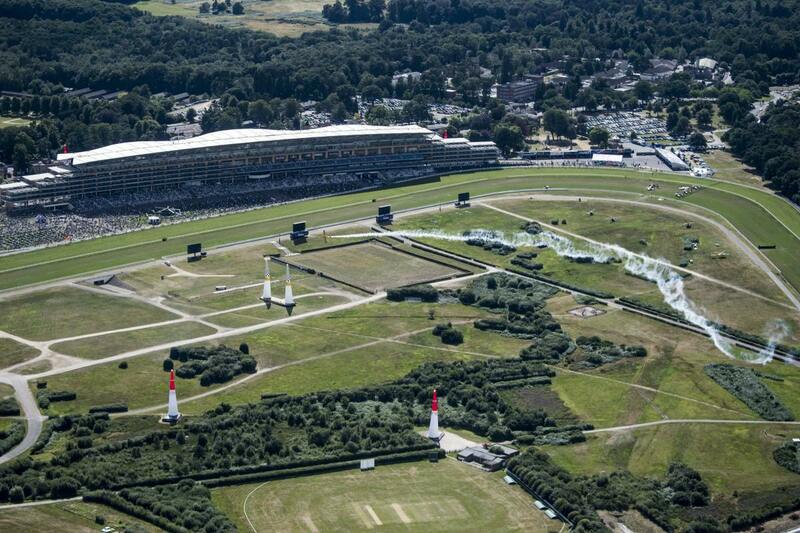 With half the season behind them, 14 of the world’s best pilots jockeyed fiercely to earn prime position for the opening round of the race less than 24 hours away. Fresh off a win in Budapest, it was Matthias Dolderer of Germany who claimed the pole position with a track record of 1:05.038, but less than two-tenths of a second separated him from the masterful 1:05.172 of the Czech Republic’s Martin Šonka, and Yoshihide Muroya of Japan was just a hair behind with 1:05.261. Dolderer would be a strong favorite on Race Day even if he hadn’t clinched Qualifying: the German has led the world championship standings ever since he won the second race of the season in April. Now, the entire field is united on a mission to rein Dolderer in and avert a runaway lead before the German’s home race at the Lausitzring next month. Still looking for his first race win after finishing an impressive fourth overall in 2015, Šonka is a dark horse with the skills to pull off an upset, and Muroya has already proved he’s got the goods with his own maiden victory this spring in Chiba, Japan. Factor in the rest of the determined lineup, including the men currently in second and third place overall – Hannes Arch of Austria and Kirby Chambliss of the United States – and Sunday’s result is too close to call. 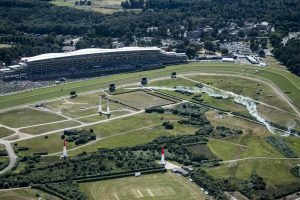 And don’t count out Great Britain’s own Nigel Lamb: Ascot is the farewell home race for the pilot who will retire at the end of the season. Lamb claimed second at Ascot on his way to winning the world championship in 2014, and a legion of British fans will be on hand to support their hero. 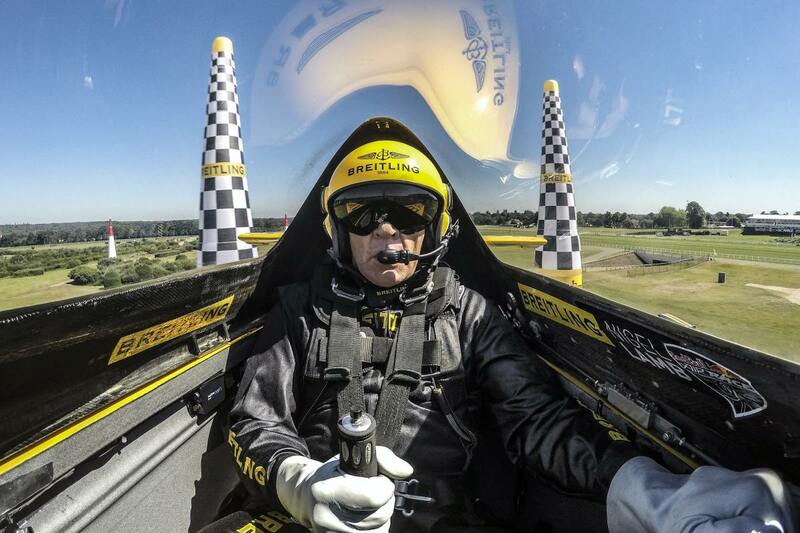 Besides pole position, Dolderer also earned the DHL Fastest Lap Award, a component introduced this year that defines a new standard of speed at the Red Bull Air Race. 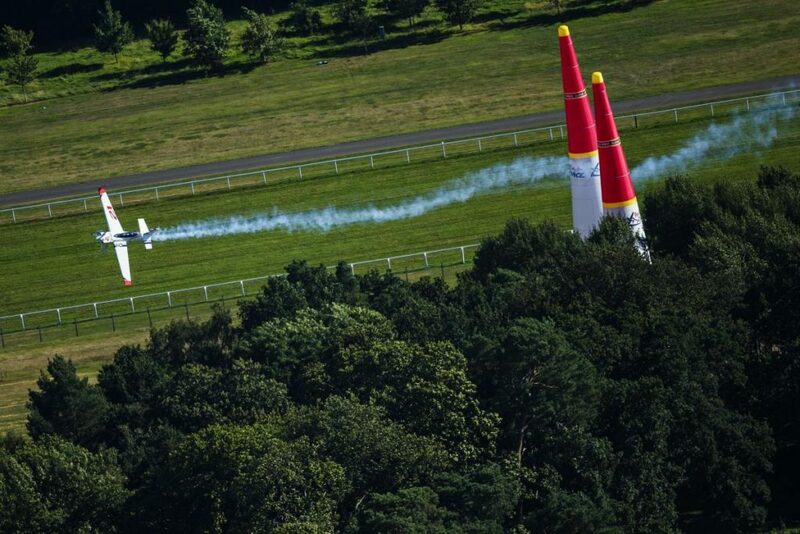 At the end of the season, the pilot with the most awards will be honored with the DHL Fastest Lap trophy, and Dolderer has taken the award at two consecutive stops to lead the field.